With offices in prime locations on both New Milton and Highcliffe high streets, Ross Nicholas & Company is proud to offer a personal and efficient service to buyers and sellers of property in Hampshire and Dorset. We are a wholly independent, family run business, and pride ourselves on our knowledge and understanding of the local area. We actively market all our properties from both offices, effectively offering double exposure to our vendors. These offices are manned six days a week by approachable and helpful staff, whose aim it is to facilitate the, often demanding, process of buying or selling a property. We believe in maintaining good relationships with all our clients and so ensure regular contact with them, throughout the searching, buying and selling processes. At Ross Nicholas & Company we understand that the ways in which people search for property are constantly evolving, and so advertise all our properties on a number of websites, in addition to our own. We have found this to be the best way to reach the most prospective buyers, and it allows us to offer service and advice to buyers coming from outside the area. Our sets of property particulars are superbly presented and beautifully finished, and are written in plain English, ensuring that that prospective buyers are well informed before viewing a property. We have found that this makes our viewings more productive, and more likely to have a positive outcome. We supply our vendors with feedback from every viewing within 24 hours, ensuring that they maintain a high level of involvement in their property sale. Because Ross Nicholas & Company is an independent business; you can rest assured that we do as much as we can for our clients, as their custom is particularly valued. We are specialists in both residential sales and residential lettings, and have a wealth of experience within the commercial, and development sectors. Because we believe in putting our clients first, we have recently increased our availability, so that we can now be contacted, via our office phone numbers, on Sundays. Our Highcliffe office is supervised by George Gosling MNAEA and is manned by friendly, helpful and knowledgeable staff. We pride ourselves on our bespoke customer service. Our Highcliffe supervisor George Gosling is a member of the National Association of Estate Agents (NAEA). We have a large number of residential properties on our books which we advertise from both our offices. 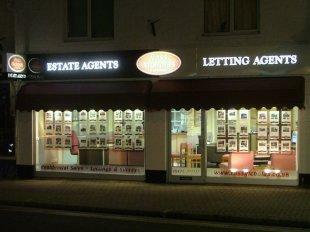 A list of properties available to rent is available from our Highcliffe office. We also deal with commercial properties and development sites. Fee information varies from property to property and can be negociated on request.